I'm afraid that this is another of those News sections which reminds us of the fragility of our grip upon life. The sudden death of Lal Waterson on Friday 4 September, of a cancer diagnosed only ten days previously, has startled and saddened a music world that knew her as a living myth whose most famous record was an unobtainable collectors' item. Born 15th February 1943, she, along with sister Norma and brother Mike, started singing very young. Family singing was a major part of their childhood. She, Norma and Mike became caught up in the short-lived skiffle craze in the mid fifties and emerged as major artists on the 1963 Topic album New Voices. The first full Waterson album Frost and Fire appeared in 1964, to be followed by The Watersons and then A Yorkshire Garland. These seminal albums became something of a source book for the folk rock wave of the seventies when bands like Steeleye Span and Fairport Convention mined them for ideas and tunes. By 1968 the Watersons were exhausted with touring ("totally knackered" was Lal's phrase) and called a halt to group work. John Harrison went off on his own, Norma Waterson went to the West Indies to become a DJ, and Mike and Lal Waterson settled into an ultimately productive silence. In 1972 they came up with an unexpected album of contemporary songs, the startlingly original Bright Phoebus. Many of today's names can be found on that album: Richard Thompson, Martin Carthy, Maddy Prior, Ashley Hutchings and Anne Briggs - the list goes on and on. Reception was mixed initially, the critics were uneasy faced with this sort of originality. However, the public were better judges - even Ewan MacColl and Peggy Seeger came to approve in the end. The album's reputation has continued to grow down to the present day, although record company politics have kept it out of print for some years. When Norma returned to Britain in 1972 The Watersons reformed, with Martin Carthy eventually taking the place of the no longer available John Harrison. The unusual approach to group singing was puzzling to the new member. It was Lal who sorted in out. "It's quite simple" she said. "You sing the tune until you can't. Then you sing a harmony." The new personnel brought a whole new series of albums, starting with For Pence and Spicy Ale in 1974. It was followed in 1977 by the ground breaking Sound Sound Your Instruments of Joy. This set out to restore to public awareness some of the melodies that had been lost since Hymns Ancient and Modern had replaced traditional tunes with "sanctimonious dirges, genteel but of small spirit" as the album notes uncharitably put it. 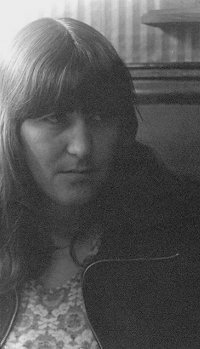 There was not to be another Bright Phoebus but among a number of subsequent records was an album with Norma Waterson and Lal's daughter, Marie, A True Hearted Girl. More recently an album featuring Lal with her son Oliver Knight performing some of her songs, Once in a Blue Moon, was released to stunning critical acclaim. (sound clip - Stumbling On). Lal Waterson's songs are now performed all over the world. In the folk world Red Wine and Promises has been recorded too many times to list, while Anne Briggs and June Tabor both recorded Fine Horseman and The Scarecrow. Her talent transcended most of the barriers that critics create, for she was more than a great singer songwriter. She was one of those forceful talents that could not be confined to a single form of expression. She was a visual artist, a painter, a stained glass designer and sculptor. She had a quiet but sometimes forceful personality with a quick witted command of language that was a prominent part of her legend. Even today people recall her lurid demolition job on an amiably drunk but distinctly out of order Dominic Behan one night in Hull. Right to the end and knowing what was happening she produced her acid repartee with a mock truculence that cowed those who didn't know her well. She never lost that sense of humour and will be desperately missed, but while people sings songs she will never be forgotten. Happily married to George Knight for thirty years, she leaves two children, Marie and Oliver and one grandchild, Joe. One of the great characters of English traditional singing died in August in Suffolk, aged 84. Ted Chaplin was born and lived all his life in rural Suffolk and was a true countryman with great horse-handling skills. He was known to many on the folk scene, and though his public appearances were few in latter years, in the 1980s and early 90s he was a larger than life figure in many a bar-room session in Suffolk and at festivals such as Sidmouth, Whitby, Dartmoor and the National at Sutton Bonington. With songs such as The Fella who Played the Trombone, The One-Leg Family and The Rose of No-Man's Land, it was a case of 'once seen, never forgotten' with Ted - always a great performer. 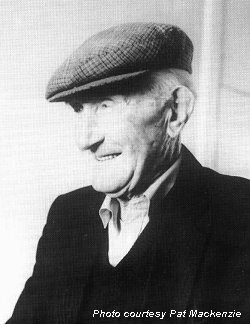 Martin' Junior' Crehan was born in the townland of Bonavilla, Mullagh, County Clare on January 17th 1908. In his lifetime he was a farmer, family man, repository of an enormous amount of folklore, a storyteller par excellence, composer of music and songs, dancer, and musician who played both concertina and fiddle. His was a long and not only rich but enriching life. In spite of his schoolteacher father's wish for him to take up teaching also, Junior's only ambition was to work the land. Eventually his father relented. His father was also named Martin, hence the sobriquet 'Junior.' Junior's earliest musical influence was his mother, Margaret 'Baby' Crehan, né Scanlon from Clonadrum, who had a lineage in music stretching far back into the 19th century. She played concertina and gave Junior his first lessons when he was about six years of age. About the same time Junior saw his first fiddle. It was in the hands of Paddy Barron, a mendicant dancing master who spent a couple of years in the locality before the First World War and returned again in the 1930's. Junior learned a great deal from Barron and played for him when he was instructing his pupils in the cottages of the area. Another dancing master, Thady Casey, was to teach Junior fiddle technique. Playing for the classes of both, Junior had a difficult job threading the thin diplomatic line between the professional egos of both masters. Another Casey, John 'Scully' (a cousin of Thady's) exerted the greatest sway on Junior's style and repertoire. Of all the fiddlers he was to hear in his long life, Scully remained his favourite and most fondly remembered. Not surprisingly, Junior's second choice in fiddlers was Scully's son, Bobby Casey, who is still playing today. The notorious Dance Hall Act of the 1930's and the concurrent vehement opposition by most of the clergy to rural dancing were lonely times for Junior. He recalled frequently that he was sure traditional music and dancing had reached its nadir with little hope of resuscitation. Add to this the crippling effects of agrarian emigration with, in many cases, little hope of the return of the youngest and the brightest, (including the musically talented and committed), and it is evident that such pessimism was totally justified. As in many other parts of the country, small coteries of musicians existed in West Clare and depended upon each other for musical sustenance. Among Junior's music-playing friends were Josie Hayes, Paddy Galvin, John Fennell, Martin Talty and Willie Clancy. With the latter two he spent as much time as he possibly could in the company of the travelling uilleann piper Johnny Doran when he made his frequent visits to play at the fairs, races and other social gatherings in Clare. After the Dance Hall Act was instituted, the Tulla, Kilfenora, and other ceilidh bands played for dancers in the newly established halls. In Clare, Seán Reid, the County Council Engineer, musician, traditional music enthusiast at all levels, and, very importantly, owner of that rare commodity, a motor car, befriended musicians throughout the county and began transporting them around and introducing them to each other. Junior frequently mentioned that there were many musicians who may have lived only a few miles apart and knew each other by reputation, but did not meet until the quietly effervescent Seán Reid introduced them. About this time the winds of revival which began to blow initially in North America and eventually in Britain and Western Europe caused Ireland likewise to pay increased attention to her indigenous musical traditions. The music regained a popularity it had not witnessed in some considerable time. This rediscovered esteem was reflected in radio programmes and the birth of organisations such as Comhaltas Ceoltóiri Éireann, a movement to whom Junior gladly gave his services from its inception. With the popularity of competitions which accelerated in the 1950's the Laichtín Naofa Céilidh Band was founded in Miltown Malbay with many local musicians who eventually became known nationally. The apex of their career was their winning of the Oireachtas Gold Medal in Dublin in 1956. Through the experience of travelling with the band Junior got to know many parts of the country he had not been in before and met scores of other musicians and enthusiasts. He said that though he enjoyed the experience greatly it was hard to run a farm at the same time and as yet "nobody has invented the five-day cow". Known locally as a composer of tunes, his reputation became more widely known as musicians of the stature of Matt Molloy, Seán Keane, Liam Ó Flynn, and Frankie Gavin included his compositions in their repertoire. Likewise groups such as The Chieftains and Dé Danann carried his music throughout the world. More importantly there are today hundreds, if not thousands, of musicians who play his tunes without any knowledge of who composed them. As Junior neither sought nor, (to the best of my knowledge, received) any remuneration for his compositions, it may be some comfort to know that such absorption into the tradition is the highest accolade a composer within the tradition can get. Among the other accolades Junior received were being honoured by the Arts Council on both his 80th and 90th birthdays and being made 'Clareman of the Year' in 1988. Such public manifestations of appreciation were indeed Junior's due and were accepted with great appreciation. Nevertheless, for such a quiet man they had to have been something of a trial as he never sought personal attention. His manner, like his fiddle-playing, was unruffled and self-effacing. As he was so quietly spoken those who were unfamiliar with him could initially miss the fact that his mind was razor sharp, his wisdom deep and his humour impish and frequently Rabelaisian. In a word, he was great company. Lesser known than Junior's capacity as a musician and composer of music and song is the fact that he had a great store of traditional stories which he learned locally. These included several lengthy Fenian tales in English which he recalled from the telling of neighbours who themselves had learned them from native speakers of Irish in their own youth. These and other tales, along with examples from his great sweep of traditional lore of every aspect, I hope to publish in the near future. To visit Cissy and Junior was to compound the enjoyment factor. Married for more than fifty years, they sparked off one another on any night as if they were old friends who had not seen each other for months. In the very many nights when I was recording in the house in Bonavilla it never seemed like work. Similarly, and just as frequently, on the nights when I was not recording I learned as much from their casual conversation as I would have done after a month's research. They had many hardships in their lives, perhaps the worst being the sudden death of their son, Tony, a virtuoso player of the concertina. Being sensitive souls, such ordeals cut deeply but never terminally, for such was their forbearance they always revived, no matter how long and how cruel the road back. The greatest of all hills is now being climbed by Cissy and the family, Angela, Ita, Margaret and Pat. His family waked him at home, as he would have wanted. In the room where he was born he lay on the bed in his good suit, his fiddle and bow on his left side, his packet of Major cigarettes and his box of matches on his right. When he was removed to the church in Mullagh it was packed out for the ceremony. Although Junior had said that he wanted his obsequies marked with the traditional music he had loved and played all his life, the crowds in the pubs afterwards were reluctant to play. We knew he had lived a long and fruitful life. We knew that death was near for the last few weeks. Even so, the loss was too great. To let me walk through the fields that I drained and manured. An' lie in the bed where I got sick and got cured. And give up my soul to my Maker on high. By the side of the chapel near Caisleán an Óir. By the side of the chapel where I was baptised". So his wishes were followed. There was such a gathering of musicians that the sessions which eventually took place after the funeral were magnificent. Junior's presence was everywhere, even to the extent that we felt that it was an awful pity that he was missing such wonderful music. But then, he wasn't. Let us add our condolences to Cissy, Angela, Ita, Margaret and Pat and wish them strength in the weeks ahead. When the pain has abated memory will not dim. Seldom can any family have been bequeathed such a rich legacy. (Footnote: I have put together two collections from the stories and lore which I collected from Junior between 1971 and 1997. I had hoped that Junior would have seen them in print as they were intended as a tribute to him. Unfortunately that homage must now be posthumous. Publication will be in Béaloideas: The Journal of the Folklore of Ireland Society, (Part 1 in 1998 and Part 2 in 1999). The first ever International Conference and Reunion for Traditional Fiddlers. It will take place in Halifax, Nova Scotia Canada, July 11-15, 1999. FOTW is an international gathering of fiddle players, accompanists, fans of fiddle music and music industry representatives to be held every two years. The course challenges the view that American Country Music is a direct descendant of Elizabethan ballads and songs brought to the New World by early settlers, and looks at what is 'American' about it. The course starts on Thursday 8th October from 7:00 to 9:00 and costs £30 with various reductions for all sorts of claimants. To understand the growth of this billion dollar industry is to begin to understand the growth of modern America - and how both were transformed by the Depression. The course starts on Tuesday 6th October - same times and prices. 19 Abercromby Square, Liverpool L69 7ZG, tel: 0151 794 6900/6952. The Copper Family, Louise Fuller, Gordon Hall, Bob Lewis, Marjorie Potter, Ken Spicer. Bill Slater, in Chicago, informs us that the famous folk musician Jimmy Driftwood died on Sunday 12th July at 6:00am in Fayetteville, Arkansas. Eloy Bernal was killed on April 22nd 1998 when his tour bus flipped over near Corpus Christi, Texas. He was 61. He and his brother Paulino began performing in 1952 as Los Hermanitos Bernal and within a decade were the nucleus of the seminal El Conjunto Bernal, (see our review), which had hits for Ideal Records and made a major impact on Tex-Mex music with their inovative genius and polished sound and vocal harmonies.